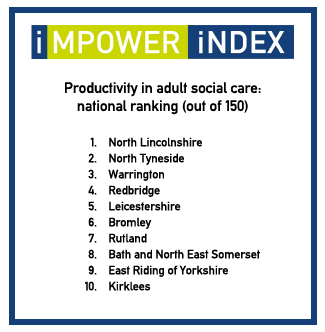 As part of the continuing development of the IMPOWER INDEX (our local government and health insight tool), we are publishing a new module – Productivity in Adult Social Care – which ranks England’s top 10 performing councils. The full IMPOWER INDEX looks at how local government and healthcare are performing across a range of factors. Measuring the delivery of public services across complex systems requires a new approach, and we have brought together a number of indicators to enable a national comparison across local authority areas. 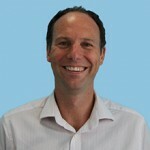 This latest module looks more closely at adult social care. There are, of course, 150 local stories that lie behind the multiple data points and the aggregated rankings. One indicator we monitor closely is the percentage of unplanned reviews of care packages that are the result of a hospital visit. 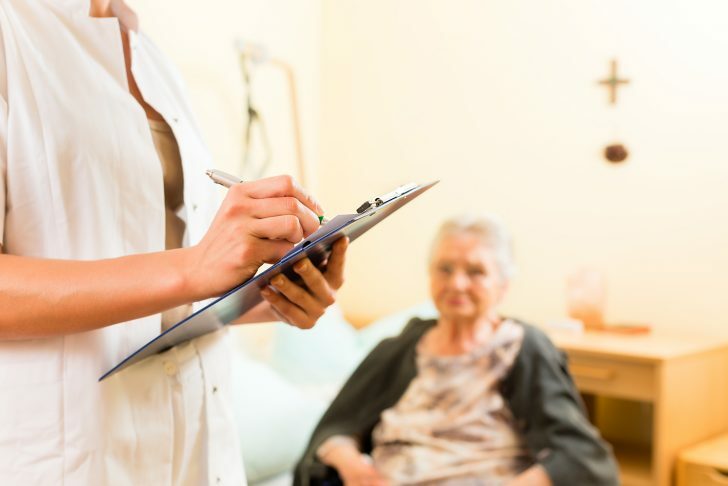 This can show whether enough is being done (at the interface between health and care) to keep those who are receiving social care as well as possible. Across the country, 21% of unplanned reviews (some 48,000 in total) were undertaken as the result of a hospital episode in 2016/17 – but the range for individual councils varies from 0% to 77%. Similarly, the rate of those receiving reablement is 72 times higher in some councils than in others (ranging from 42 per 100,000 population to 3,048 per 100,000, with an average of 580). The IMPOWER INDEX underpins our analysis of the opportunity for demand-led change, as set out in our Mission:Possible report which showed that £3 billion could be saved in adult social care each year while also improving outcomes. Our new Productivity in Adult Social Care ranking uses a set of assumptions and weightings from a range of national data sets to produce an overall list of outcomes achieved for the money invested. The top 10 best performers are shown below. There is obviously a complex story behind the results of each council, but each of them deserve to be congratulated. Only four have kept their spot in the top 10 when compared to last year. Each of these four councils demonstrates strength in outcomes achieved across Older Adults, All Age Disability, and Health and Social Care Interface, coupled with lower than average spending per head. If you would like to find out where your local area sits on the overall ranking, and understand (and respond to) the detailed picture underneath, please get in touch.